In this article, you will learn to work with enumeration (enum). Also, you will learn where enums are commonly used in C++ programming. Here, the name of the enumeration is season. And, spring, summer and winter are values of type season. By default, spring is 0, summer is 1 and so on. You can change the default value of an enum element during declaration (if necessary). When you create an enumerated type, only blueprint for the variable is created. Here's how you can create variables of enum type. Here, a variable check of type enum boolean is created. Here is another way to declare same check variable using different syntax. 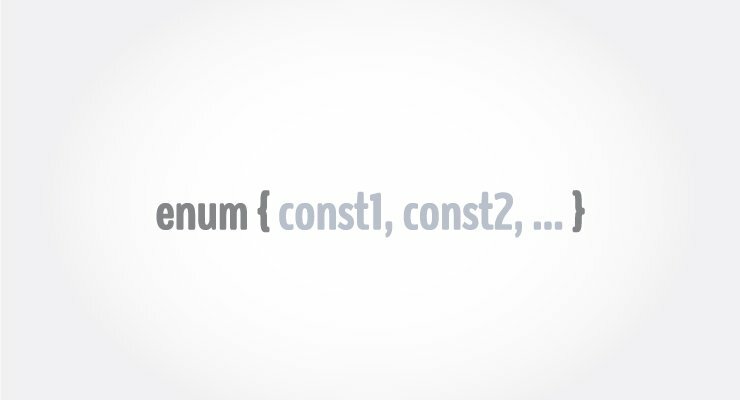 Why enums are used in C++ programming? Size of enum variable 4 bytes. This makes enum a good choice to work with flags. You can accomplish the same task using C++ structures. However, working with enums gives you efficiency along with flexibility. How to use enums for flags? Suppose you are designing a button for Windows application. You can set flags ITALICS, BOLD and UNDERLINE to work with text. There is a reason why all the integral constants are power of 2 in above pseudocode. When the output is 5, you always know that bold and underline is used. Also, you can add flag to your requirements. Here, we have added italics to our design. Note, only code for italics is written inside the if statement. You can accomplish almost anything in C++ programming without using enumerations. However, they can be pretty handy in certain situations. That's what differentiates good programmers from great programmers.